Placebo is a topic we’ve wanted to write about for a while but not easy to pin down. It’s one of those words that seems to be so misunderstood; meaning different things to different people. All too often it’s used as a “catch all” response to anything that goes against perceived wisdom – whatever that is (!) – particularly within the medical profession. The logic goes that whatever it is only works because it was expected to work by all those involved, both patient and practitioner. Hence it being used to explain – and at the same time dismiss – any approach outside the “accepted norm” that produces positive results. However, as so often is the case, life just isn’t that simple. By adopting this stance not only is a vital piece of the healing jigsaw missed; but it leads on to just the sort of inconsistencies and contradictions we’re told the medical profession are striving to avoid. Now isn’t it interesting that this definition simultaneously acknowledges and then dismisses the importance of the mind in healing. It follows the accepted wisdom that the body and mind are completely separate and should be kept that way. While the mind can help a patient feel better, it doesn’t have any physiological effect on the body. If you stop to think about it for a moment, this just doesn’t make any sense at all. Humans aren’t made up of a set of separate parts that function independently from each other. The physical body from the mind; let alone the emotions or more spiritual aspects. Experience tells us that every aspect is linked to every other one – whether directly or indirectly – so that every infinitesimal change has an effect on us as a whole and on many different levels. Research has repeatedly shown that how a person feels has a huge impact on how they function physically, whether they’re in the best of health or not. And their response to treatment. We’ve all heard stories of how those with a positive outlook turned around seemingly hopeless health situations, achieving near miraculous healings. But also how those who were sure they were going to die did so; even though there was no physiological reason why this should have happened. An often told story shows just how powerful the mind can be. It concerns a man who was employed on the railways in Siberia to clean refrigerated freight carriages. As he worked alone, he was told to ensure that the door of the carriage was always propped open to ensure that he didn’t get trapped; as it was likely he would freeze to death before anyone realised what had happened. One day the inevitable happened and he wasn’t found until it was too late, having died of hypothermia. What baffled those who found him was that the refrigeration unit wasn’t on and so the temperature in the carriage was well above that causing hypothermia. He hadn’t died because of the temperature in the carriage, he had died because he believed it was cold and that he would die of hypothermia. And who said the mind isn’t powerful? Just as important is the message patients receive from those around them or caring for them. Practitioners who have good client management skills, are positive and upbeat, have much better results than those who are not. However, before we digress too far, let’s look at the absurdity of placebo from another angle. And this is how it underpins the so called golden standard of drug testing. The double blind drugs trial. The logic here is quite simple. That neither the patient nor researcher knows which pill is being prescribed – the drug or a placebo – and any changes must be down to the drug. While this approach sounds perfectly logical it has some quite unintended – and unacknowledged – results. Although it sounds as though the feelings and expectations of all those involved have been removed from the trial this can never be the case. Simply being involved in research for a new drug affects the feelings and expectations of all those involved – positively and negatively – and so the results. And this is without looking at all the other subjective variables. The information given, expectations of what may happen, the messages – positive and negative – picked up from the research team, etc, etc. All of these subjective issues affect every drugs trial and yet they’re not even acknowledged, let alone taken into account. And here’s an interesting little wrinkle that’s recently been highlighted and exposes the real power of the mind. This relates to any side effects from the drug. 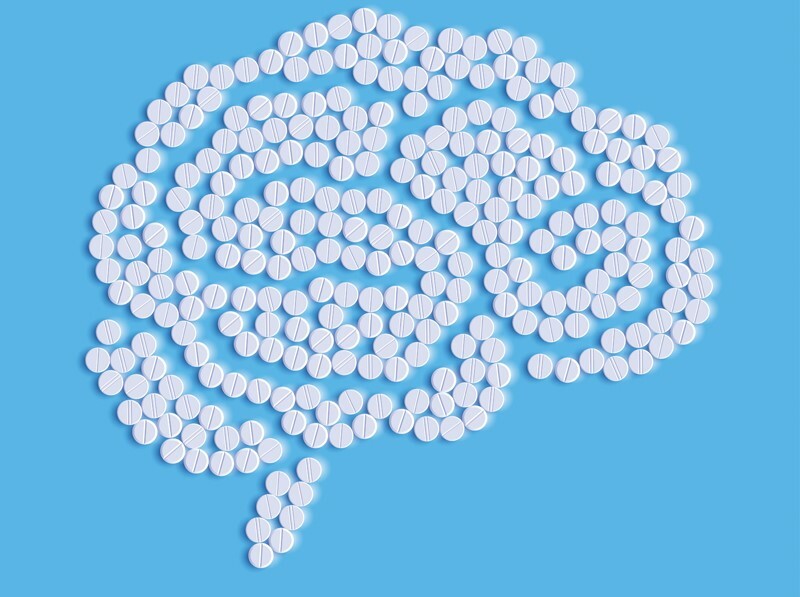 It’s been found that, regardless of whether participants are warned about possible side effects or not, they expect to experience side effects. When they do they believe they’re having the real drug, rather than the placebo. And this creates a powerful new placebo effect. The more toxic the side effects the stronger the effect, as the participant takes this as confirmation that they must be taking the real drug. At the same time, those who don’t suffer any side effects believe they’re not taking the real drug. So they mentally shut down any possibility that the drug is working. But what if they were receiving the real drug? The power of their beliefs has blocked its physiological effects which, according to the definition of placebo, isn’t possible. While we’re talking about drug trials, let’s lay to rest another common misunderstanding about drug trials. This is that the drug being trialled must make a significant difference to be considered successful and licensed for general use. Sadly this isn’t the case. All that needs to be shown is that it provides more of an improvement – however small – than doing nothing or the placebo. With all the unintended inconsistencies and unacknowledged effects of placebo, how on earth can this ever be independently established? So isn’t it about time that the power of the mind in healing – let alone our day to day lives – was acknowledged? Instead of using placebo to dismiss anything that falls outside the currently accepted norm, using it as an opportunity to look more deeply into something we don’t currently understand. Or perhaps don’t need to understand. To finally acknowledge that we are so much more than our physical body. And, in so doing, opening ourselves up to true healing rather than being blinded by the – often misleading – claims of the latest wonder treatment.